Campanile. A seduction in 3 courses. 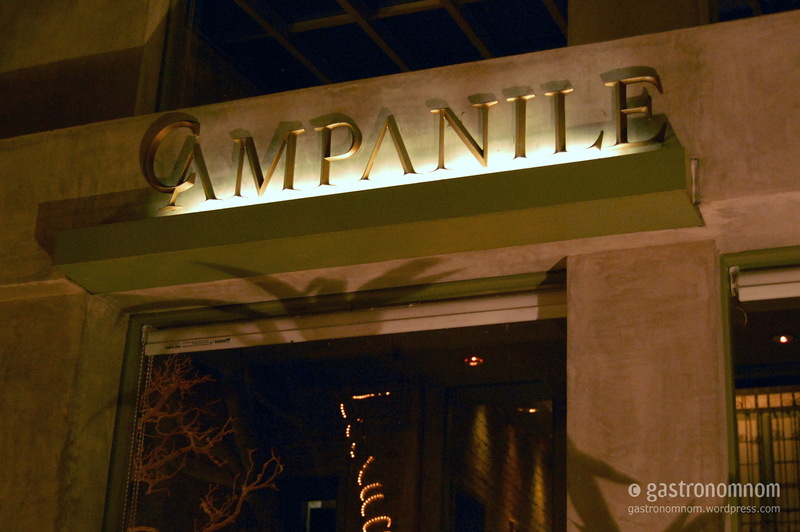 Campanile is a brunette in a city of blondes. Not just any brunette. A brunette that has settled down for 20 years in the same home. No wonder I’d driven past her countless times and not noticed. But step through the doors of her home, and this is one classy lady. And what a home it is. Once owned by Charlie Chaplin, no less. It’s like eating in the enclosed courtyard of a Spanish mission. But you’re not here for the architecture. You’re here to taste her. To take her into your mouth. To chew, to extract, to savor. 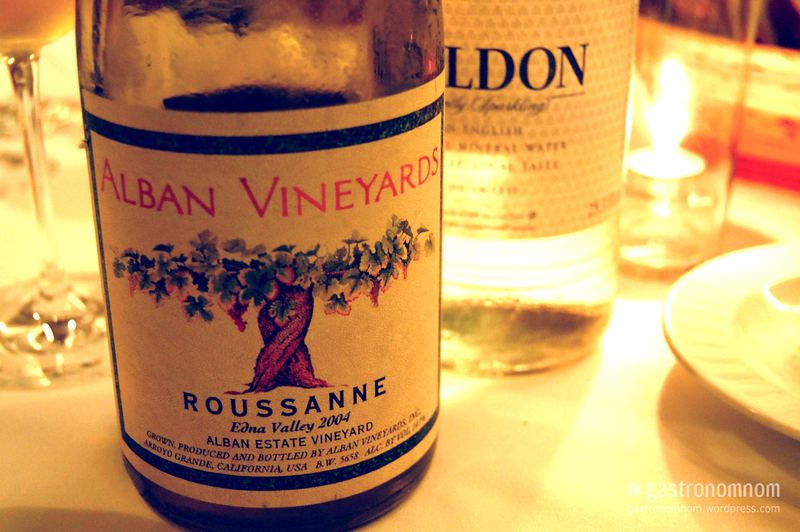 Why don’t you pour yourself a glass of 2004 Alban Vineyards Roussanne and make yourself comfortable? Let’s start with the appetizer. Poached egg with a porcini mushroom cream. Served on a slice of toast with some simple greens, this seems like an odd start to dinner. Or is it an invitation to stay for breakfast? And it is an ideal breakfast dish. 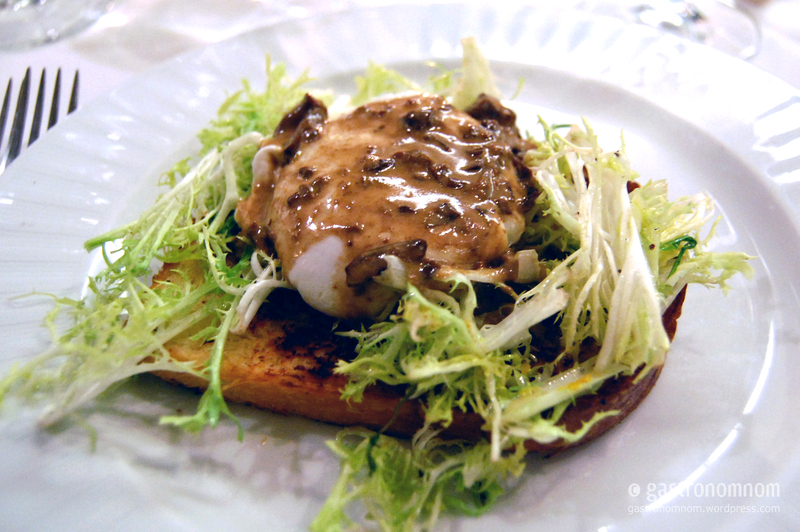 A perfectly poached egg, mushrooms and toast. There’s something luscious about piercing the skin of her egg and allowing your yolk to spill out. Honestly, one of the best renditions of a poached egg I’ve had in recent memory. But the egg was just a starter. You hunger for something more. You’re here for the main course. That’s right, you want to taste her clams. 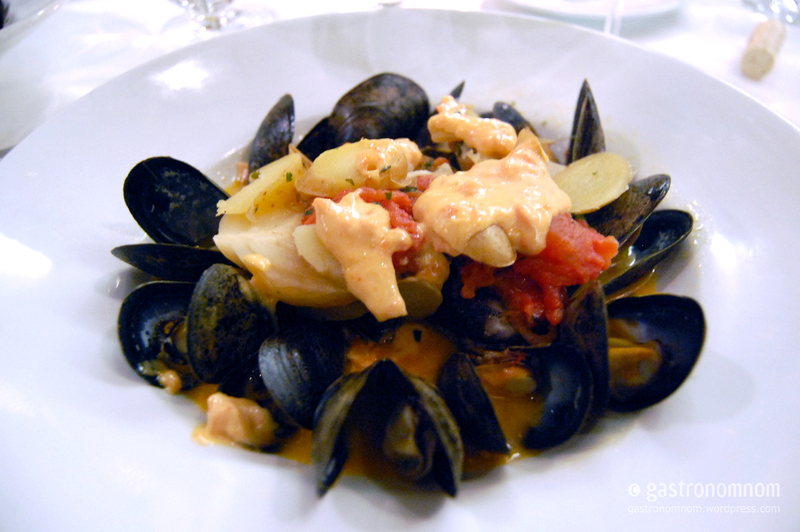 Specifically, steamed mussels, fingerling potatoes, fennel and tomato confit. Mmmm, it tastes of the sea with the tomato broth adding a bright sweetness. The fingerling potatoes with a melted cheese sauce on top add a density to the dish. But the broth is delicious. You could sop up those juices all night. You still need to eat her pudding. 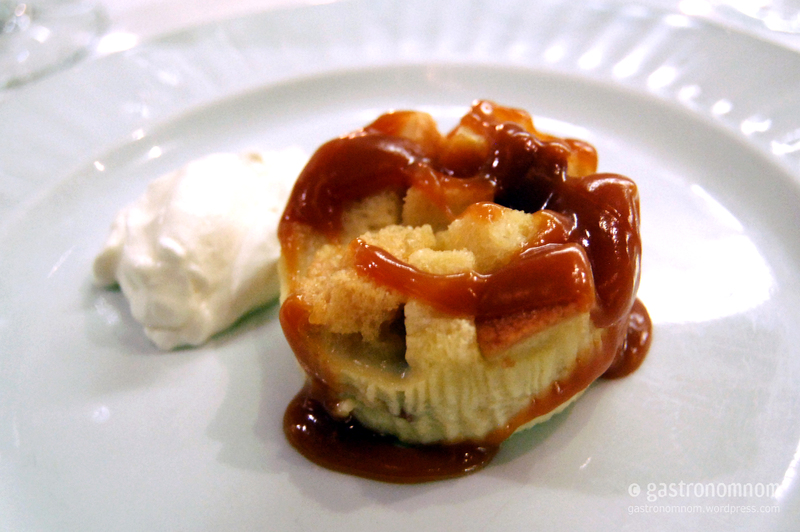 A dainty, compact bourbon bread pudding with caramel sauce and creme fraiche. On the top, folds of bread burst and spread apart, a thick bourbon caramel sauce oozing into its crevices. But dig deeper into her pudding and you’ll find its depths to be soft and sweet and custardy. If you like your pudding creamy, feel free to add some creme fraiche. Finish off her pudding and relax in the afterglow of the meal. Feel free to discuss it with the friends you just shared it with. She won’t mind. She likes to share. Campanile, thanks for reaffirming my passion for brunettes. I might just call you Mrs Robinson.